I want to touch it | Do the twisted. When you can’t grow hair on your head, grow it on your face. That’s how Jerry rolls with it. Dustin and I had the pleasure of meeting him during our 4 year reunion in Charleston, SC. 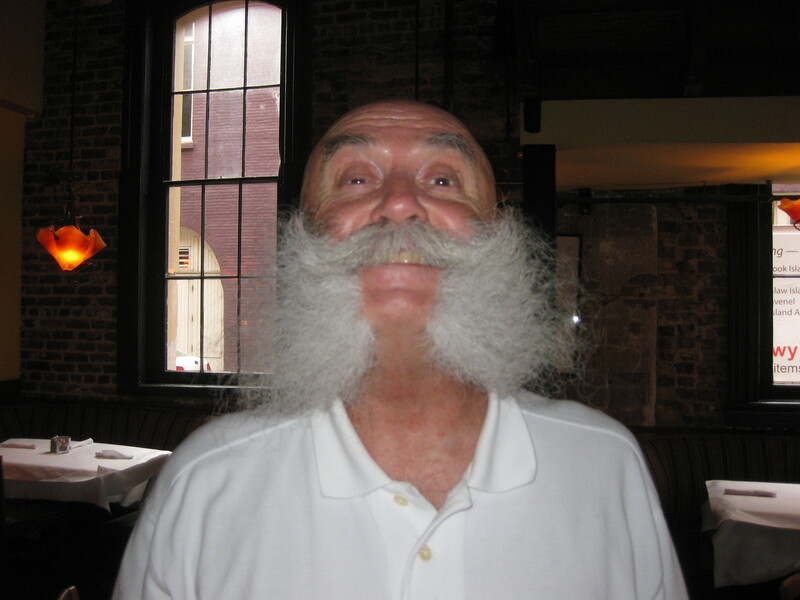 His mustache is the fluffiest we’ve seen south of the brewery, a.k.a. Southend Brewery. Not sure if they have beards of love, but they should. Because Jerry’s mustache seems like a wickedly wonderful candidate for beard manufacturers. More specifically, Santa beards. But only if they ditch the traditional beard and Santa rocks a Jerry mustache. Mrs. Claus would dig this bad boy for sure.